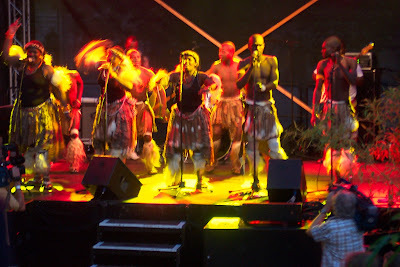 Went to an evening organised by the South Africa 2010 organisers in Vienna tonight. Despite the torrential tain earlier, it was still sticky and the Cape wines and local food delicacies were a treat. Nothing to do with refereeing I know, but this Xhosa group gave a stunning performance.